XMAS has really snuck up on me this year! Yesterday, I drove mom over to one of our malls and spent the day picking up the last few gifts I had to get...mostly gift certificates for the hard to buy for members of the family and stocking stuffers from Bun Penny. OMG...LOL...It was a madhouse...sooooooooooooo packed! It took us forever to get a seat in the food court! The one good thing was that I got to chat with Jase when I got home! I had missed him Friday night because I was on babysitting duty...watched my niece and nephew while my sis and her husband went to a "Snowflake Ball". We had a great time...watched movies, ate pizza and made sundaes. So...today, I spent the entire day wrapping packages! I wrapped all of my packages and all of my mom's packages (except for my own that is)...I didn't finish until sometime after 7:00! I was drained! While I wrapped,I popped "STARDUST" into the DVD player and watched it. WOW! I really enjoyed it! Needless to say, I plan on watching again without the distraction of wrapping packages, but I saw enough to know it was well acted, had brilliant effects, costuming, etc! I had read Neil Gaiman's book years ago and enjoyed it immensely so I had been looking forward to seeing this...and I wasn't disappointed. Now I wish they would bring 'NEVERWHERE' and 'AMERICAN GODS' to the Silver Screen! I would love to see Neverwhere and American Gods as films. IF they could do them justice. 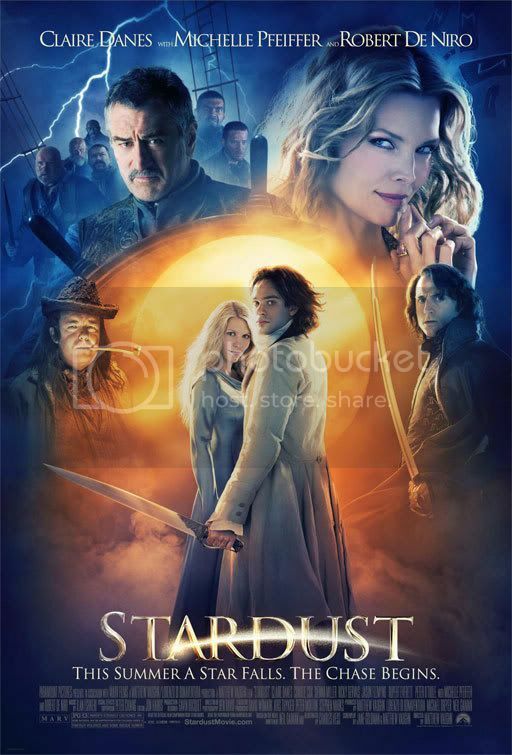 Stardust is one of the Neil Gaiman books that I havent read yet. I really want to read it soon. There was a British miniseries of Neverwhere done, but I didn't care for it...I loved the book so much. Somehow, I think American Gods might get an NC-17 rating!LOL! Christmas is for your loved ones, baby boy! Hey, just getting around to browsing your LJ...I don't do too much on LJ anymore....life is too crazy these days. Thanks for the Welcome! Hope my LJ doesn't scare you too much...I'm a bit all over the place! Merry Christmas and many more! *sighs* i'm missing adrian, myself...he's in mexico..
OH NO, Gabe! For some reason, that old, old song "Vaya Con Dios, My Darling" popped into my head! I'm sorry your honey is gone for the holidays! I've not seen Stardust yet, but I hope to soon. I'm glad to hear you think it's good.